What: Virgin Records is starting the party game early with live sets from Broods and Coasts for this happy hour event. How To Get In: RSVP here. For you nine to fivers, you'll have to feign sickness and duck out from the office early Thursday to catch this one. What: Here's a kickoff party for people who have way more money than I do. 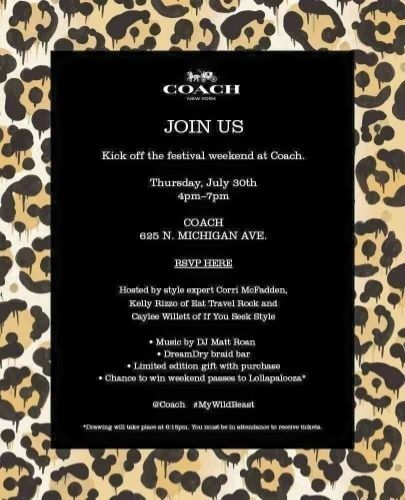 The Michigan Avenue Coach store will be celebrating the weekend with music by DJ Matt Roan. Best part is they're giving away a pair of passes to Lollapalooza at 6:30pm. Where: Coach, 625 N. Michigan Ave. 4pm - 7pm. How To Get In: RSVP here. What: Uber is giving you the chance to see Kygo free Thursday night in an exclusive intimate setting. All you have to do is request a ride on the Uber app at exactly 7:30pm, and they'll pick you up and take you to the secret venue for free! Where: Secret location. 7:30pm. 21+. How To Get In: Open your Uber app at exactly 7:30pm, request a "KYGO". What: Pandora celebrates Lolla weekend with a performance by Madeon and free drinks! What: Flood Magazine and Virgin Hotel are teaming up to bring a huge weekend of artists and free parties, starting with a Thursday night Lollapalooza kick-off party featuring DJ Windows 98 (Win Butler, y'all) and live set from Viet Cong. How To Get In: RSVP here and show up EARLY. The live venue at Virgin is about the size of my living room. 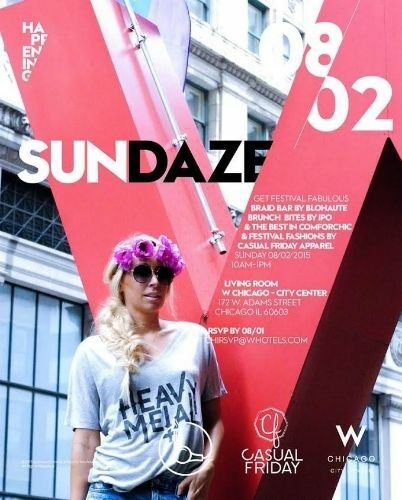 What: The Renaissance Hotel will be throwing parties all weekend long for Lollapalooza, hosted by BMF Media. This opening party will feature DJ Mom Jeans and Chris Kennedy. Open bar is likely. Where: Renaissance Hotel, 1 Upper Wacker Dr. 8-11pm. 21+. How To Get In: Show up. Prepare to wait in line. What: Flood Magazine's parties at the Virgin Hotel continue with a DJ set from KYWO and a live performance by a surprise guest. Update! The surprise guest has been announced and it's none other than Father John Misty. The venue at Virgin Hotel is small so this will be a rare chance to see him in an intimate space, but this also means you're going to have to line up much earlier than expected. How To Get In: RSVP here. Arrive early. What: Four Loko still exists and they're hosting two nights of parties for Lolla. This first night will feature performances Waka Flocka and DJ Whoo Kid, and there will be plenty of free Loko. The peach flavor actually tastes decent, but make sure to drink plenty of water if you plan on hitting Lollapalooza the next day. Where: Surprise location, revealed after RSVP. What: Hard Rock Hotel presents their Chicago After Parties series. Considering the Hard Rock's proximity to Grant Park, this party's open bar and a performance by Slick Rick (and other special guests), Hard Rock will be hopping Friday night. Lines for their after parties usually wind around the block, so make sure to arrive early. How To Get In: RSVP at culturecollide.com/Chicago. Arrive early. What: The Fader and Dell are partying it up at the Dell Lounge, featuring a performance by A-Trak. This party will have drinks provided by Goose Island and Boxed Water. The Fader usually throws down, so this one will be a safe bet. What: Over at Celeste, they'll be hosting two nights of Lollapalooza after parties. On this first night they'll have special guests Cold War Kids hitting the decks for a DJ set. This place is small, so get there early. How To Get In: Just show up! What: Lolla parties at the Renaissance Hotel continue Friday night with sets from Myles Hendrik and HXLT. Open bar is likely. Where: Renaissance Hotel, 1 Upper Wacker Dr. 10pm - 2am. 21+. 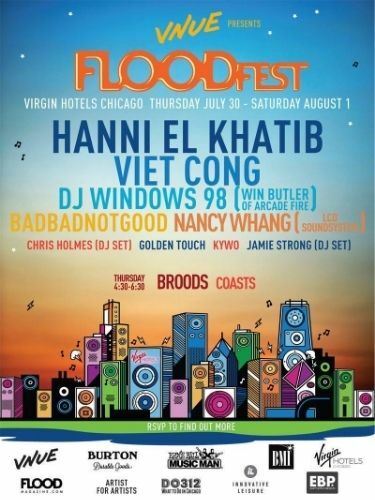 What: Flood Magazine closes out their weekend of parties Saturday night with Hanni El Khatib, BADBADNOTGOOD, and other special guests. What: Four Loko continues their parties with a performance from T-Pain. Plenty of free booze at this party. I'm not ashamed to pick up a can of Loko every now and again so no judgments here. 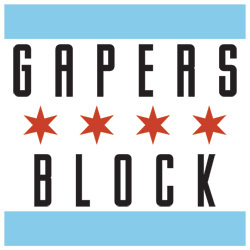 What: Hard Rock Hotel offers up another one of their Chicago After Parties series Saturday with a performance by Jack Antonoff's Bleachers. This is the spot to be Saturday night, so make sure to show up early. Plus from 10-11pm they'll have food and wine pairings from Parson's Chicken & Fish. What: Another BMF Media party at the Renaissance Hotel featuring performances by Franco V and Holychild. 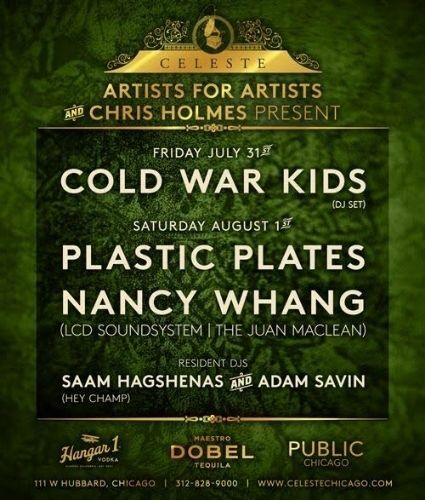 What: On this second night of Lolla after-parties at Celeste, they'll be featuring DJ sets by Plastic Plates, Nancy Whang (of LCD Soundsystem), Saam Hagshenas (of Hey Champ), and Adam Savin. What: BMF Media rounds out the weekend featuring performances by Franco V and Roofeeo of TV on the Radio. This is the currently the only free party option for Sunday night so get ready for this place to be packed. What: Work off your Saturday night hangover with brunch at the W Hotel. Early birds can check out festival fashions, get their hair braided and snack on brunch bites at this morning event. 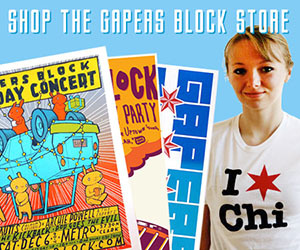 Where: W Hotel, 172 W. Adams St. 10am - 1pm. Keep checking back because I will be updating this post with additional parties and events as they are announced. Anything I missed? Let me know in the comments!